Denver Furnace Services: What’s A Furnace Humidifier? Living in the Denver area is a dream. As furnace service specialists in this area for many years, we’ve seen the Front Range grow and change in many ways, but even though there are far more people here than there used to be, we still think it’s the best city in the country. Surrounded by the stunning beauty of the mountains, the glory of Roosevelt National Forest, and the joy of waterways like Cherry Creek, South Platte River, and Lakewood Gulch, it can be easy to forget that Colorado is a very arid state, almost a desert! This region of the country is known for dry weather, which can wreak havoc on those who suffer from respiratory ailments. When dry air is making your throat feel dry, dehydrating your skin, and aggravating your asthma or allergies, the obvious solution is to use a humidifier to condition the air. Some people in Denver take it a step further, opting for the installation of a whole home humidifier–also known as a furnace humidifier–instead of the one-room, portable models with which we’re all familiar. 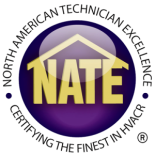 It’s important that you speak with a professional furnace service expert before making this decision, and especially if you decide to go ahead with installation. Keep reading to learn more about humidifiers and the impact they may have on your furnace service schedule! What Is A Furnace Humidifier? Unless you’re in the middle of Death Valley, it’s likely that at least a small percentage of the air you’re breathing is made up of water. This is what we call the “humidity level.” However, when the humidity level inside your home is too low, it can result in negative health effects. A humidifier is a device that adds moisture to the air. A furnace humidifier is a much larger version of the table-top appliances with which you’re probably familiar. There are two basic types of furnace mounted humidifiers, flow-through and reservoir. Mounted Humidifier – In this type of furnace-mounted humidifier, water flows through the appliance and drains back out. Reservoir Humidifier – In this type of furnace-mounted humidifier, water is stored in an internal reservoir and rotated through the appliance via a drum. Regardless which type of furnace-mounted humidifier installation you choose, water will be introduced to the air in your home when the device facilitates evaporation and sends this moisture-laden air up through your vents. How Does A Furnace Humidifier Affect Your Health? If you find yourself constantly suffering from winter allergies, it could be because of inadequate humidification in your home. Likewise, if it seems like someone in your family is constantly coming down with a cold or respiratory infection, low relative humidity could be the cause, as this condition gives rise to airborne infections. 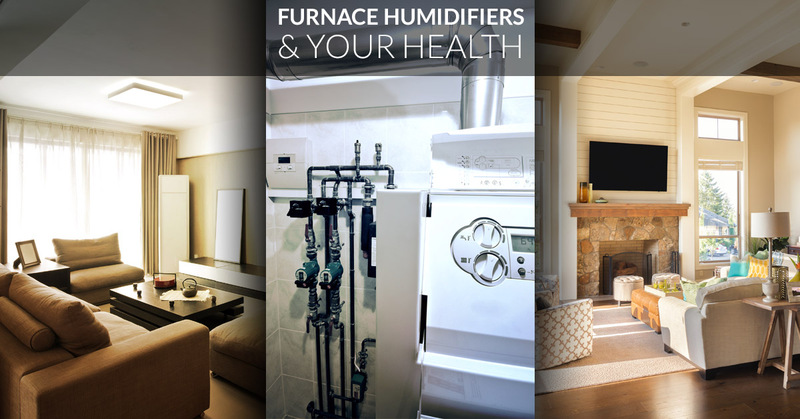 By saturating the air inside your home with moisture, a furnace humidifier could be one way to ward off allergens and pathogens, allowing your body’s immune system to better defend itself. If you’re thinking about buying a furnace-mounted humidifier for your Denver home, we encourage you to contact Premier Heating and Air. We can help you to make a more informed decision by explaining our experience with whole-home humidifiers, as well as their impact on furnace efficiency. Once you’ve made your decision, we may also be able to help with the installation of a humidifier on your furnace system.